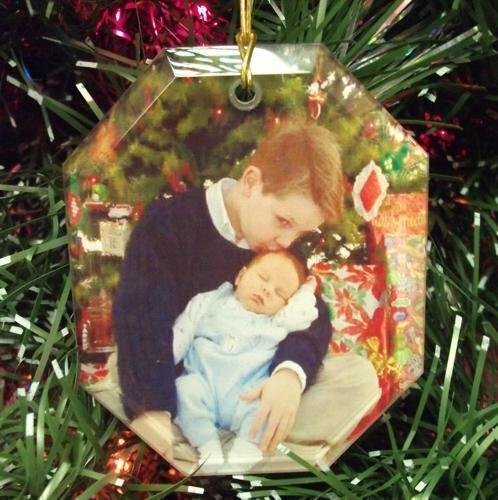 Personalize your Christmas with photo ornaments. We can put your pictures, names and dates on beautiful glass ornaments. 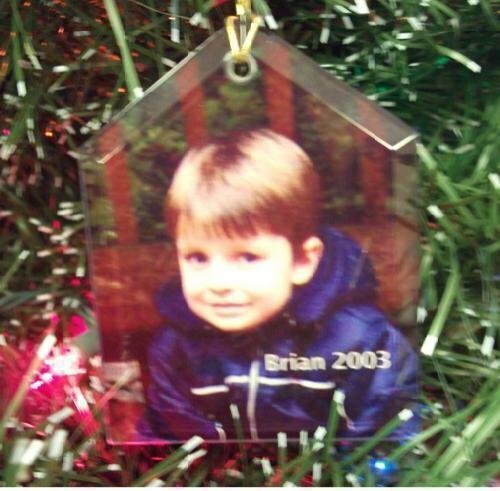 Everyone will looking at your Christmas tree with pictures of loved ones thoughout the years. Fill your Christmas tree with pictures of your loved ones through the years. We can add names, date, or other information to the photo. Just email your pictures to us with the text you want added and we will take care of the rest. Remember we can only reproduce pictures taken by a professional photographer with thier written permission and the photo must be family friendly. Everyone will want to look at each and everyone of theses ornaments on your tree. The glass picture ornaments come in a white gift box with a clear front. A block font is normally used since it can be easily read. Octogon Photo Ornament - Approx. 2-1/2" x 3-1/4" x 1/8"
Fill your Christmas tree with pictures of your loved ones through the years. We can add names, date, or other information to the photo. Just email your pictures to us with the text you want added and we will take care of the rest. Remember we can only reproduce pictures taken by a professional photographer with thier written permission. Everyone will want to look at each and everyone of theses ornaments on your tree. The glass picture ornaments come in a white gift box with a clear front. A block font is normally used since it can be easily read. House Photo Ornament - Approx. 2-3/4" x 3-1/2" x 1/8"